How do you add warmth to a sleek and modern interior? 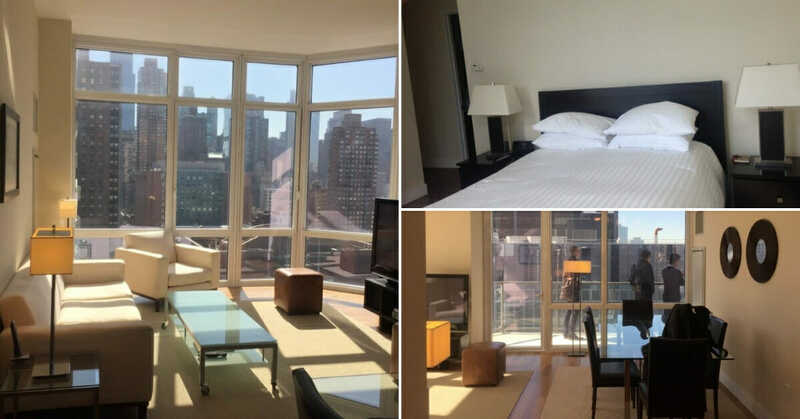 A recent Decorilla client knew that contacting an expert designer is a great way to create her dream apartment. She wanted a sophisticated modern apartment design that was far from cold. 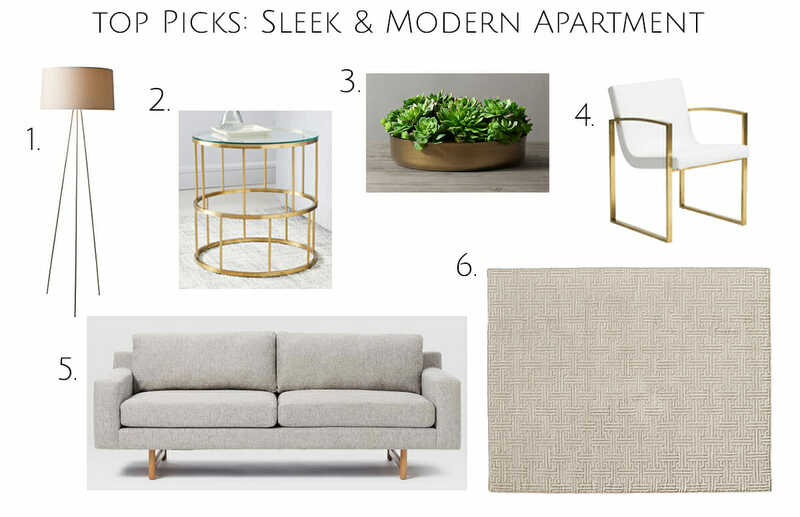 Luckily, the warm glow of a light-filled apartment gave our online design team a head start. Designer Mladen’s digital drawings gave the client the inspiration and tools she needed to create a welcoming modern home. 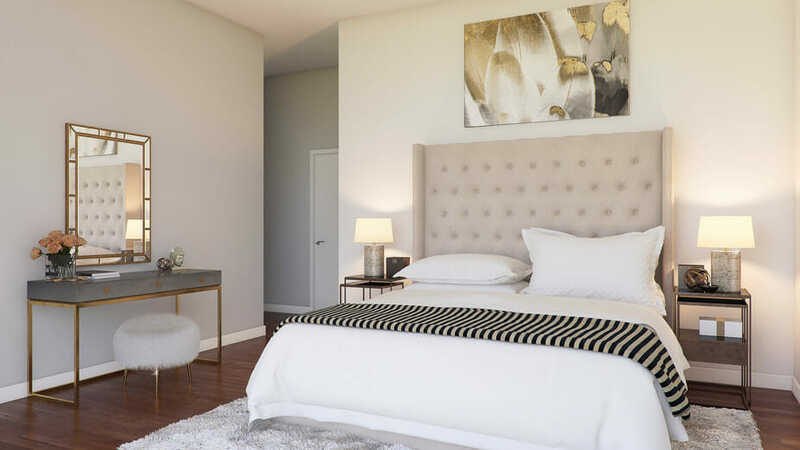 Modern apartment decor with gold finishes and bold, contemporary artwork is what inspired the client. 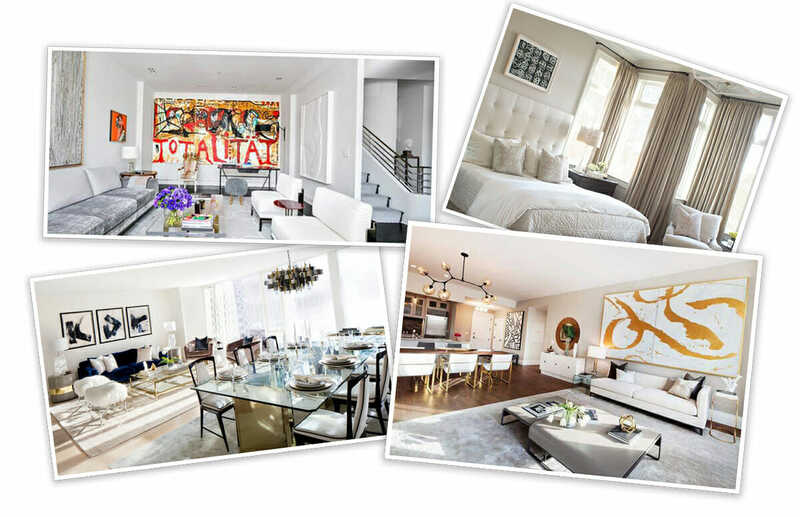 These light-filled and predominantly white interiors are spacious, luxurious and perfect for entertaining. 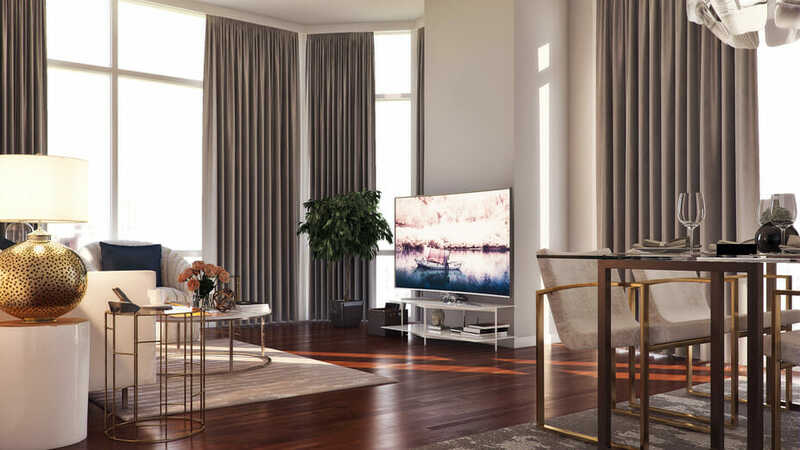 An open-plan layout with small apartment decorating ideas is the ultimate space-saver when it comes to city living. 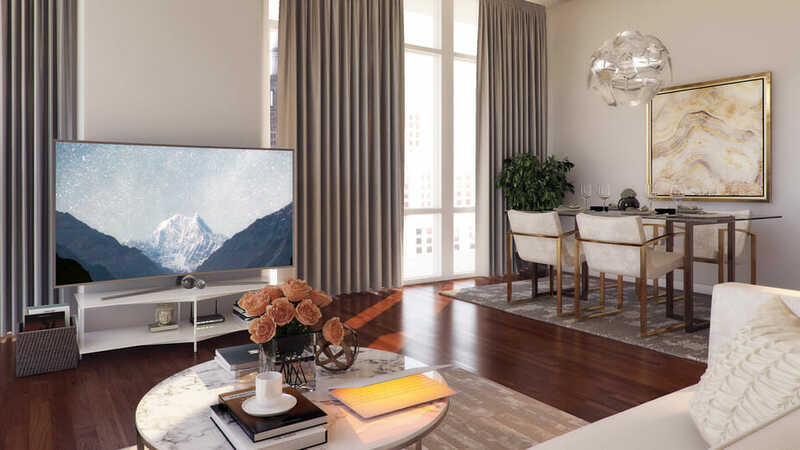 Two initial proposals gave the client a variety of options, and she decided to go with the sleekest modern apartment design. The design makes the most of the skyscraper view by adding metallic elements to bounce the city lights. Neutral gray paint on the walls will help to make the small apartment feel more spacious, especially with its light-bouncing eggshell finish. In the 3D design images, the dark furniture was replaced with lighter alternatives that elongate the space. Furnishings were kept minimal to help the room feel spacious and airy. 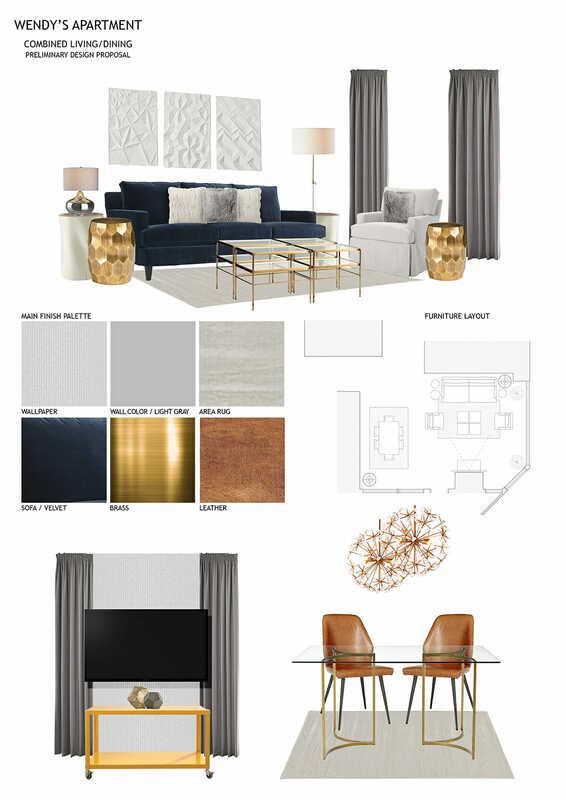 The preliminary mood board features brass accent tables and brass details in the dining table, console and coffee table. A metallic finish like brass, most importantly, adds the warmth that the client desired in her modern apartment design. A trio of contemporary relief artwork frames a velvet sofa and adds balance to a neutral design. The final design was tweaked to match the client’s ideal home vision but kept the lovely richness of brass and lightness of white tones from the initial mood board. The new living room is shining just as bright as the city at night. 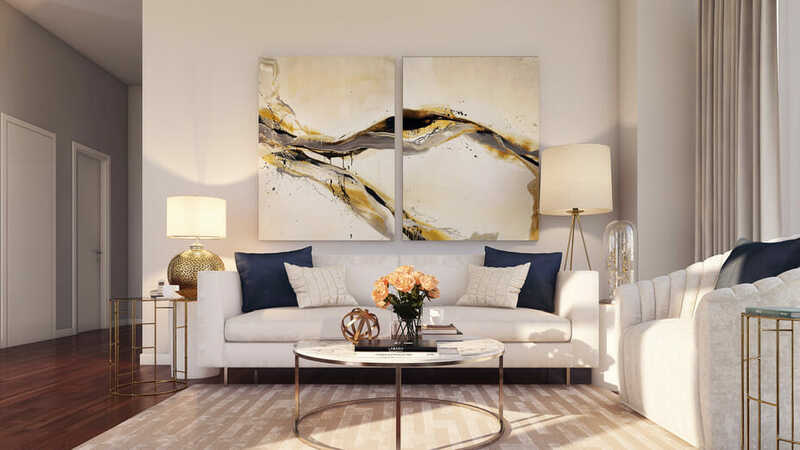 Modern apartment décor like the mirrored gold accent tables and free-form golden-hued artwork give the living room a curated look. Rich navy throw pillows add just enough contrast to keep the seating area interesting yet sophisticated. A contemporary pendant light hovers above the ultra-chic dining table and brushed gold dining chairs with Nauga leather. Floor-to-ceiling silk drapes frame the vast vistas while adding touches of warmth and luxury to the interior. The tones of white, gray and gold alongside the warm wooden floor is perfectly balanced to create a cozy and sleek modern apartment design. Marble effect of the coffee table and art piece above the dining table create a dreamy sophisticated air. Savvy decorating ideas that make a small space feel larger than it is were used. A gold trimmed mirror creates an illusion of more space while reflecting light. An impressive deep-buttoned headboard adds grandeur to the small bedroom while lifting the ceiling by drawing the eyes up towards the shimmering artwork. 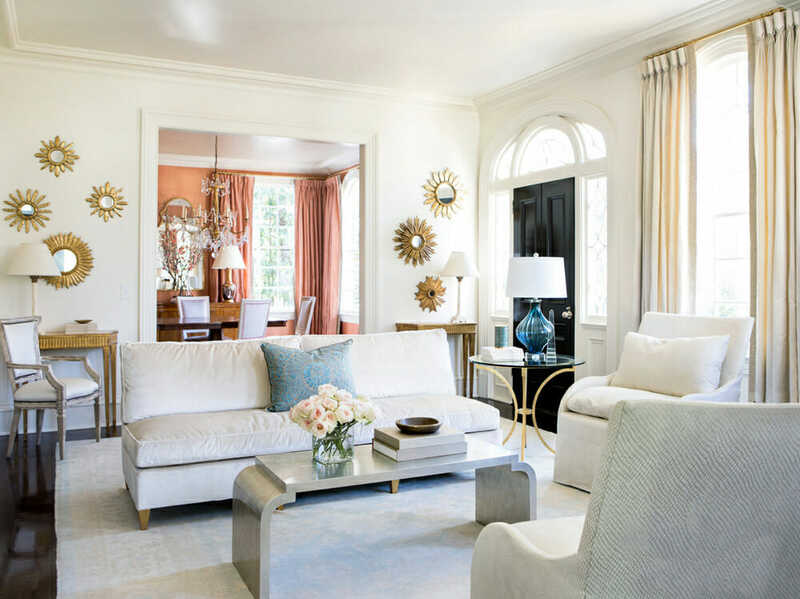 Finally, a plush rug and Mongolian lambswool stool soften the formal room into a cozy space, perfect for unwinding. Hallways are often dark, but not in this modern apartment. Light is essential in an entryway and, luckily, a beautiful mirrored copper pendant bounces light and illuminates every corner of the tiny space. Decorilla designer, Mladen, placed a mirror right below the pendant to reflect even more light to brighten the landing. Pot plants and roses feature throughout the home and add freshness to the modern apartment decor. 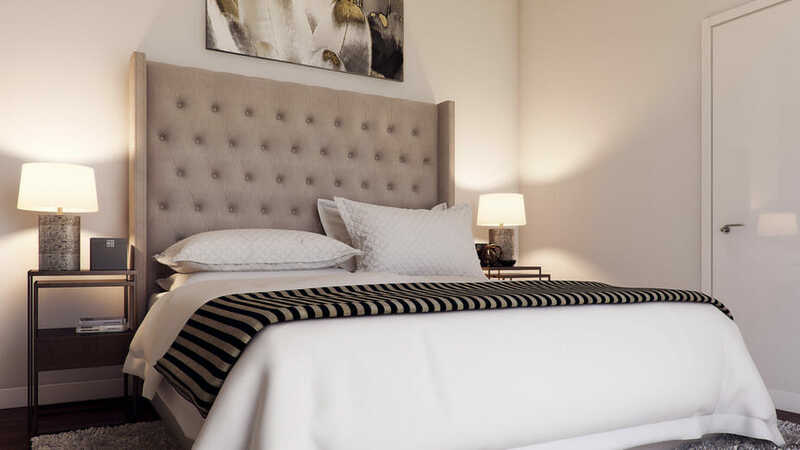 After two preliminary design concepts by different interior designers, detailed feedback and a comprehensive list of requirements the client now has a tailor-made home she loves. 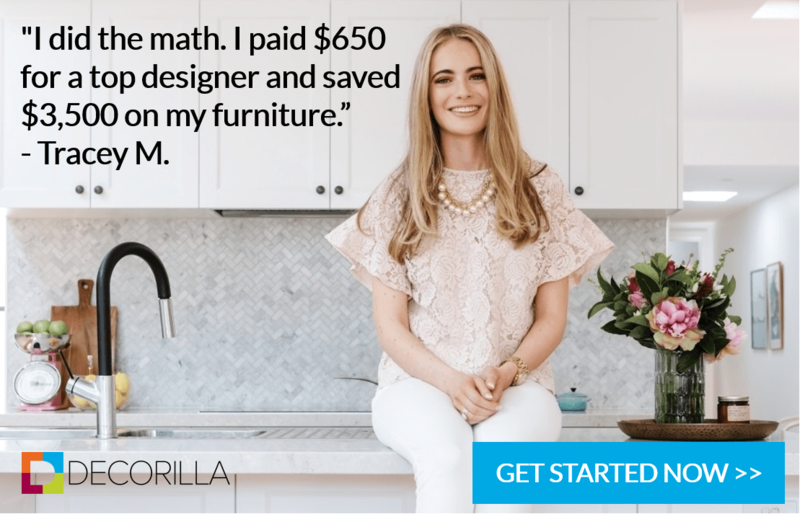 Decorilla’s online interior design service not only crafts stunning homes; it comes with discount benefits too! Schedule a Free Interior Design Consultation and see which interior design package suits your home best!